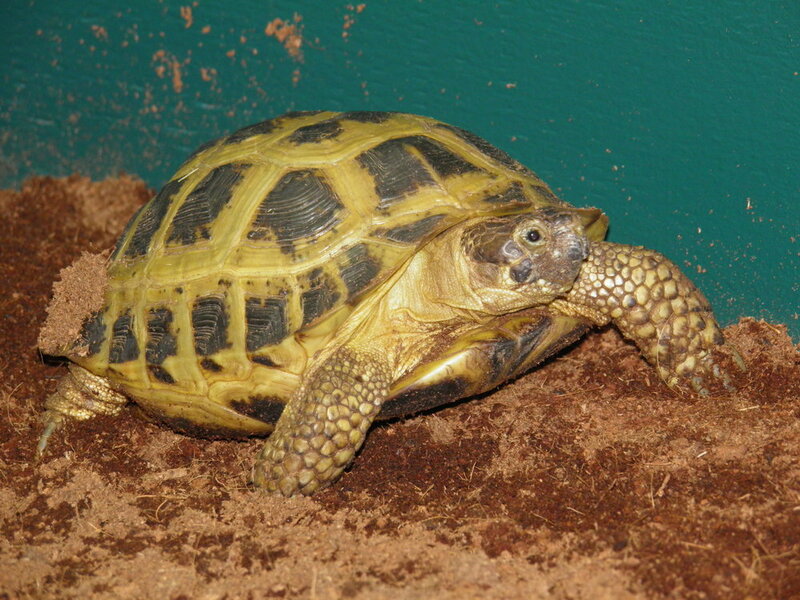 Russian Tortoises (Agrionemys horsfieldii) are native to Russia, Afghanistan, Pakistan, Iran and China. A small, hardy and personable tortoise, they enjoy lots of bright light, heat and access to deep substrate to enable them to dig and bury themselves. Russians appreciate a dry environment but should be given some moist hide areas too. They also prefer low hides to feel more secure, like being in an underground burrow. Their diet consists of dark, leafy greens. During the summer we offer dandelion, plantain, clover, grasses and other weeds and blooms from the garden. During the winter we provide good quality, store bought greens such as endive, chicory, small amounts of kale, spring mixes and nutritional leaves such as romaine. They relish cacti pads too if you can find them; these can be grown indoors and outdoors in pots during summer months. Supplements can include products such as Reptivite, Herptivite, additional calcium and specially formulated tortoise powders such as TNT Tortoise Nutritional Supplement and Repashy Super Veggie. Russians do not drink large amounts of water but should have access to drinking water at all times. 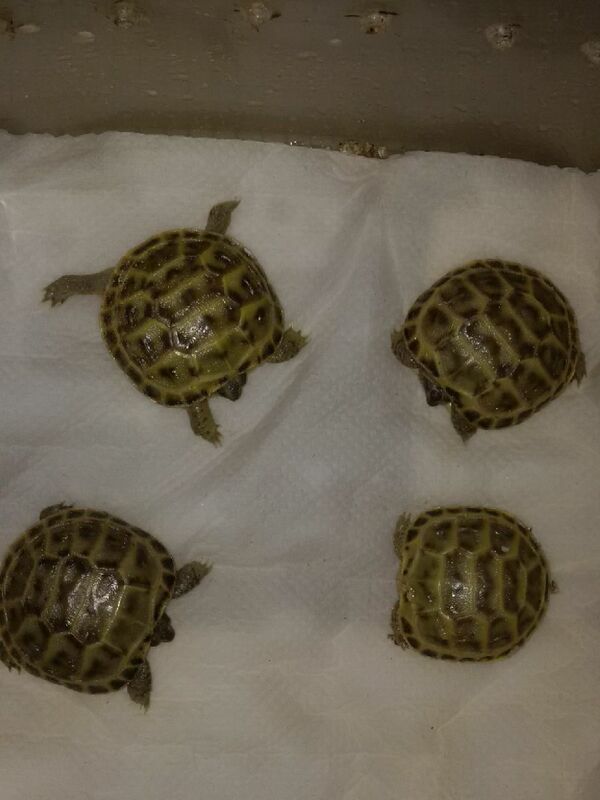 Russian tortoises can be very aggressive so only one male per enclosure is advisable. Females can live together peacefully but care should be taken to ensure they all have equal access to food, basking spots and hides. Despite our need to provide companions for our pet tortoises, one Russian tortoise can do very well on its own. If you're interested in breeding this species, one male should be provided with multiple females to spread his attention as males can be very persistent in their breeding attempts. Russian tortoises are adept at climbing and digging so be sure to provide very secure enclosures, especially outdoors. During the summer, they appreciate real sunlight and the opportunity to graze freely.